Roger Hugh Sherman, 90, of Great Falls, passed away peacefully on Wednesday, January 31, 2018 of natural causes. A Celebration of his life will take place next month on Monday, MARCH 12, 11:00 a.m. at Westside United Methodist Church, 726 Central Ave West, Great Falls. Roger was born to Hugh I. and Lois B. Sherman on June 7, 1927 in Great Falls, Montana. He attended Great Falls schools, graduating from Great Falls High School in 1945 and enlisted in the U.S. Navy. 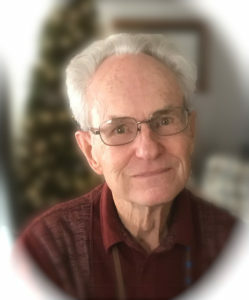 After his honorable discharge in 1946, he attended Montana State College in Bozeman where he earned a Bachelor of Science degree in Mechanical Engineering, graduating with honors in 1950. He was then employed by IBM as a customer engineer in Helena, Butte, and Billings. In 1960 he was transferred to Great Falls where he later retired in 1982 as the Senior Marketing Representative. He felt very fortunate to have been able to spend his entire career in Montana. He married JoAnn Stainsby in 1948 and had four children. They later divorced in 1971. He then married Anneliese Riggin in 1972 with whom he remained until her passing in 2013. Roger was a proud member of DeMolay Legion of Honor, Cascade Masonic Lodge #34, Great Falls Scottish Rite, and the Algeria Shrine. In 1999 he was honored by the Algeria Shrine Temple as “Shriner of the Year.” In 2001 he was elected to the Knight Commander Court of Honor of the Scottish Rite, and in 2007 served as Venerable Master of the Great Falls Valley. Roger was raised to the Mason’s high honor of 33rd Degree in 2014. He had served as president of the Great Falls Lion Club, the Meadowlark Country Club, the Demolay Memorial Foundation, Elbon Club, and the Great Falls Shrine Bagpipe Band. Roger enjoyed a variety of hobbies like time spent woodworking, crafting stained glass, bagpiping, bowling, and golf, often scoring his age or less. He is survived by his son, Brad (Cheryl) Sherman; daughter, Barb (Rick) Frankovich; granddaughters, Nichole Cash, Jaime (David) Siebers, Bailey Frankovich; great-grandson, Nathaniel Wagner, two nieces and a nephew. Additional survivors include step-daughter, Edye (Walter) Wilson; step-sons, Bob Riggin, Ric Riggin, Steve (Denise) Riggin; 12 step-grandchildren, several step-great-grandchildren, and great-great-grandchildren. He was preceded in passing by his 19-year-old son, Scott; 57-year old daughter, Sue; and his brother, Bob.